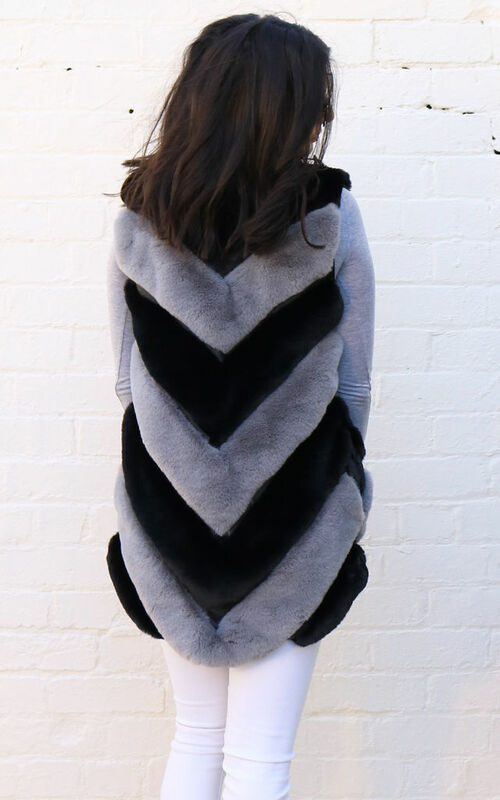 Two colour luxe faux fur panelled gilet in longer length. Diagonal panelled luxury faux fur gilet in grey with faux leather trim. Long style, sits at top of thigh. Edge to edge style with hook and eye fastenings. Satin lined throughout. Relaxed fit. 100% Polyester. Model is 5' 7" and wears a size S/M.